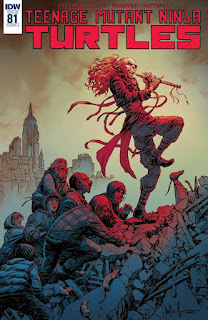 "Kingdom of Rats, Part 1"
Simultaneously, Splinter and Leonardo meditate and see the same vision: The disheveled populace within the ruins of New York being hypnotized by the piping of the Rat King and led off a bridge to their deaths. 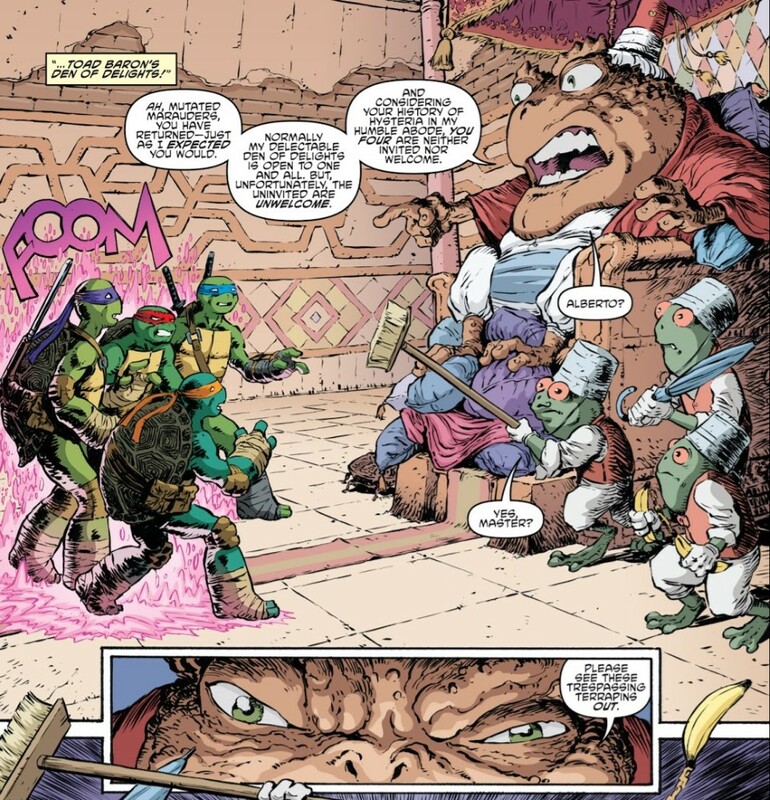 Splinter chooses to contemplate the vision further, while Leonardo rallies his brothers to action. At the Skara Brae, Hun and Casey have a chat. Casey thanks his father for helping him in the fight against the Triceratons, but reminds him that he's in command of the Purple Dragons now. Hun says he doesn't want to get in the way and he's actually proud that his son has turned the gang around into a neighborhood watch again. Suddenly, they're ambushed by the Garden State Wreckers (led by Bullet and Fade) who want to loot the city in the wake of the invasion. Jennika and the Foot Clan join Casey and Hun in the fight, protecting their allies at Splinter's behest, and drive the Wreckers away. Jennika then joins Splinter for their meeting with Agent Bishop (still using Slash as his mind-controlled muscle). Splinter accuses Bishop of failing to honor their deal, as the EPF were supposed to leave the city once the Foot Clan had eliminated the threat of the Triceratons. Bishop reminds him that no one yet knows where the Triceratons went when they disappeared, and until that is determined, the EPF will remain in the city as a safeguard. Splinter then vows to prove that the Triceratons have left, but warns Bishop not to test him. Elsewhere, the Rat King observes this meeting and then plays a song on his pipe, hypnotizing dozens of children into following him. At TCRI, Burne Thompson finishes an interview with Baxter Stockman while April sneaks away to meet with the Turtles. Baxter goes outside to bid Burne goodbye, but is then "asked" by Detective Kara Lewis to join her for a meeting with Agent Bishop. Back inside, the Turtles convince April to use the teleporter to transport them to the one place where they know they can get information on the Rat King: The Den of Delights. The Turtles arrive, but are immediately attacked by the Toad Baron's minions. *This story is continued from TMNT (IDW) #80. 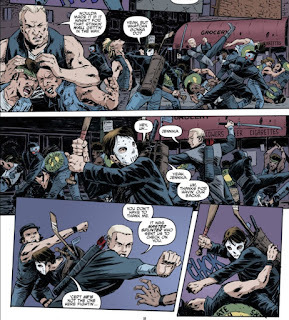 The story continues in TMNT (IDW) #82. *A prelude to this issue was published as the back-up in TMNT Universe #19. *This issue was originally published with 6 variant covers: Cover A by Dave Wachter, Cover B by Kevin Eastman and Tomi Varga, Retailer Incentive Cover by Mark Torres, The Nerd Store Exclusive Cover (color) by Eastman and Varga, The Nerd Store Exclusive Cover (black and white) by Eastman, and Conque Variant Cover by Humberto Ramos. A story arc about the Rat King: My prayers have been answered! 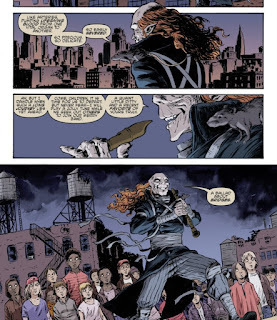 It's no secret that the Rat King is my favorite TMNT villain, and I've been digging IDW's incarnation of the character for what little we've been glimpsing of him over the years. It's exciting to finally see him step out into the spotlight as a main antagonist and not just some cryptic trickster lurking in the margins. While he's had to wait his turn for a while, as a followup to the devastating "Invasion of the Triceratons" storyline, an arc dedicated to him couldn't have been timed more perfectly. The imagery of Rat King leading scores of people to their deaths off a destroyed bridge is one of the darker moments in this title's run, even if it was all just a dream. As a prelude, it's a solid way to get you ready for the arc. But then there's all the other stuff. Like a lot of arcs in IDW's series, the titular plot is usually only 1/4 of what you get and the rest is everybody else's ongoing drama. 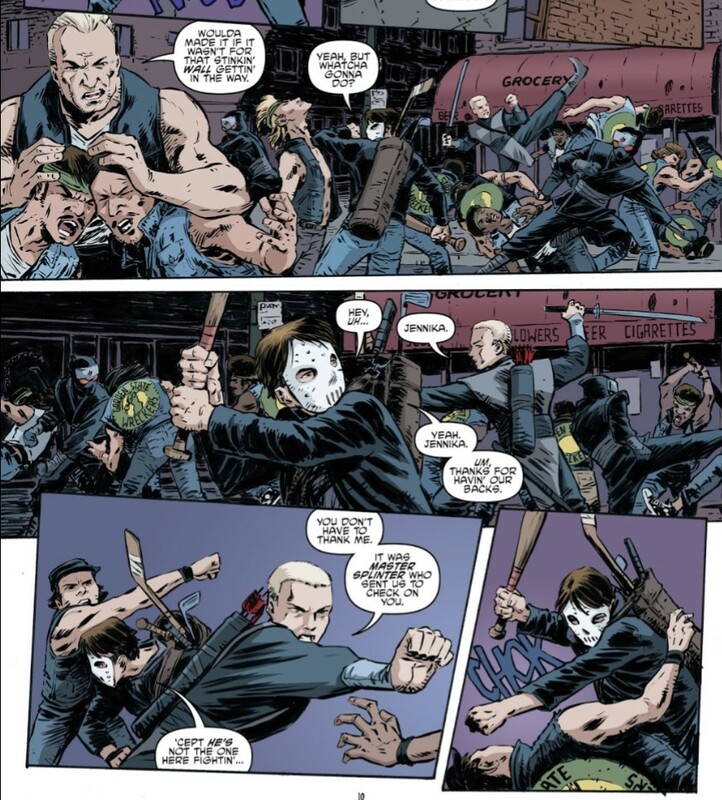 So the lion's share of this issue has nothing to do with the Rat King and is instead about Agent Bishop's truce with the Foot Clan, Hun and Casey making amends, or Baxter Stockman shmoozing it up with the media. Not dull storylines by any means, but this arc wasn't titled "Kingdom of Splinter's Contractual Obligations". I'm liking the proactive approach the Turtles are taking with the Pantheon (they even say as much directly in the dialogue). They certainly have been passive with this looming threat and I'm pleased that they're actually DOING something with the intel they gathered from their last mission to the Den of Delights. It was one thing for that past adventure to illuminate the facts for the readers, but it means so much more when the protagonists use that info to their advantage. Wachter is back on art and his extremely dark, heavy inks perfectly suit the tone of this story, set in the aftermath of a citywide invasion. Then again, exactly how ruined is New York City supposed to be? The dialogue talks about mass looting in the chaos following the invasion and the Rat King vision presents a near post-apocalyptic Manhattan... But Wachter draws a rather pristine New York, looking no worse for wear than before the invasion. The text seems to want to present the city as a total disaster zone, but that didn't get communicated to the pencils. "Kingdom of Rats" has the potential to hit me in my wheelhouse and I'm hoping that it does. I love me some Rat King and the creepy, atmospheric imagery is right up my horror movie enthusiast alley, too. There seem to be some discrepancies between art and script regarding the shape New York should be in, and the Rat King element is getting lost behind all the other ongoing melodramas, but I've got my fingers crossed they pull it together over the next three issues. Very excited to see how this arc turns out. While I do get that the Rat King being shoved out of the spotlight would be pretty disappointing, I'm pleased that the arc also seems to focus on Casey and Hun and the Foot and EPF alliance, since those are probably my favorite story arcs in TMNT IDW. Great review as always! "Kingdom Of Splinter's Contractual Obligations" is the name of the next story arc. Splinter must successfully renegotiate his contract with Viacom, who wants to force him into a solo spinoff to the "Coming Out Of Their Shells" tour. I understand it's going to be the darkest arc in the series yet. The Garden State wreckers thing was awful. Waltz is always pretty bad when he tries to write “hood” dialogue, but that especially made me want to crawl in a hole and die.